"The coming stupendous holocaust, caused by the sky-rocket, the giant fire cracker and the toy pistol, that leaves an annual trail of disaster following the glorious 4th of July celebrations, is a subject for our serious consideration." So let us consider it: on the third of July, 1776, the day before the adoption of the Declaration of Independence by the Continental Congress, John Adams wrote to his wife, Abigail, that the nation's independence should be commemorated "with Pomp and Parade, with . . . Guns, Bells, Bonfires and Illuminations." Americans gleefully followed Adams’s recommendation with an annual bounty of Independence Day fireworks and gunshots, but by the beginning of the 20th century our love of colorful explosions and loud bangs brought with it a scourge: a deadly infection that became known as "patriotic tetanus." Tetanus is caused by the Clostridium tetani bacterium, whose spores are ever-present in soil. Many of us have found ourselves in need of a tetanus shot after stepping on a rusty nail, which can introduce the disease. The bacterium pumps out toxins that cause intense muscle spasms, particularly in the jaw, from which the common name "lockjaw" derives. Left untreated, tetanus gruesomely kills 90% of its victims, producing spasms that can become strong enough to break bones. Fireworks could cause a tetanus infection when they exploded on the spore-laden ground, sending showers of dirty shrapnel deep into the skin of bystanders. 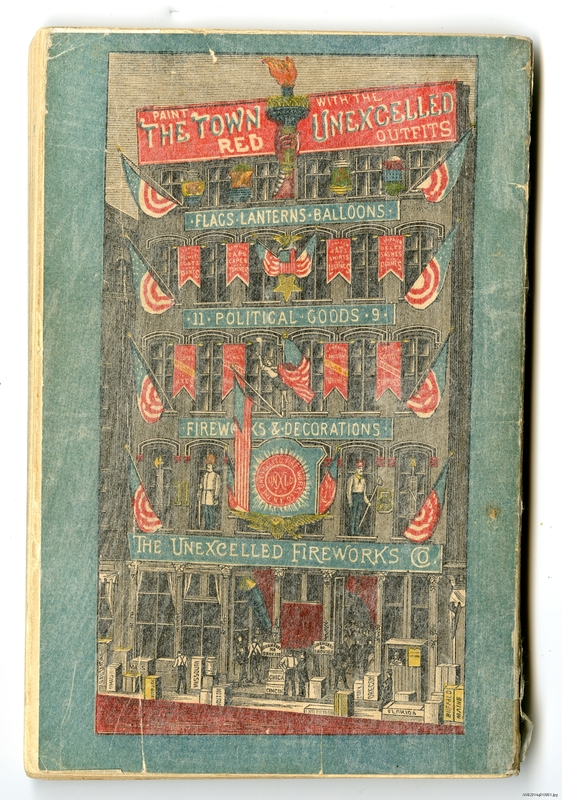 By the late 19th century, fireworks became intimately linked with political campaigns and patriotic holidays. 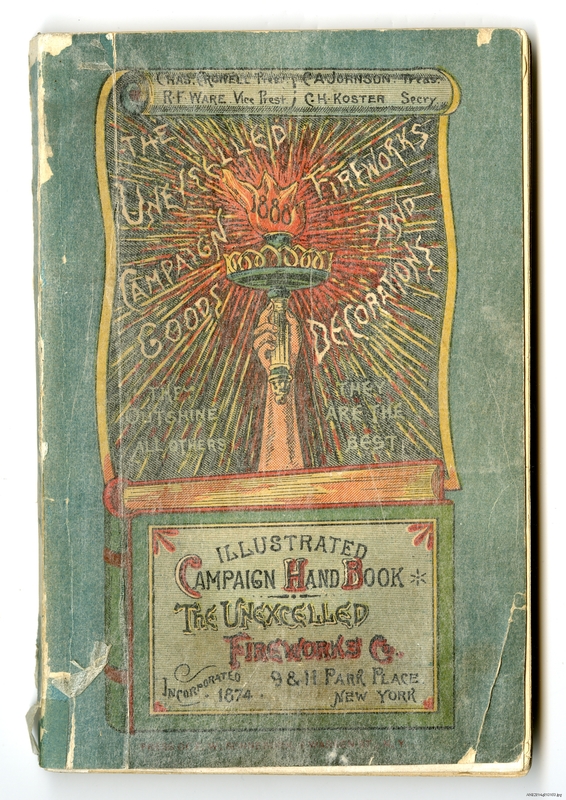 An industry had developed to supply political candidates and patriotic revelers with everything from hats and bunting to Roman candles and shotgun-launched exploding shells. As a relatively inexpensive entertainment, fireworks could enthrall large crowds with lots of bang for the buck. However, now that children and adults had easy access to miniature explosives, tetanus cases increased. These Independence Day infections were so common that they became known as "patriotic tetanus," "Fourth of July tetanus," or "patriotic lockjaw." Along with the firecrackers, Roman candles, and miniature cannons we know today, July Fourth revelers also enjoyed firing blanks—pistol cartridges loaded with gunpowder but no projectile. 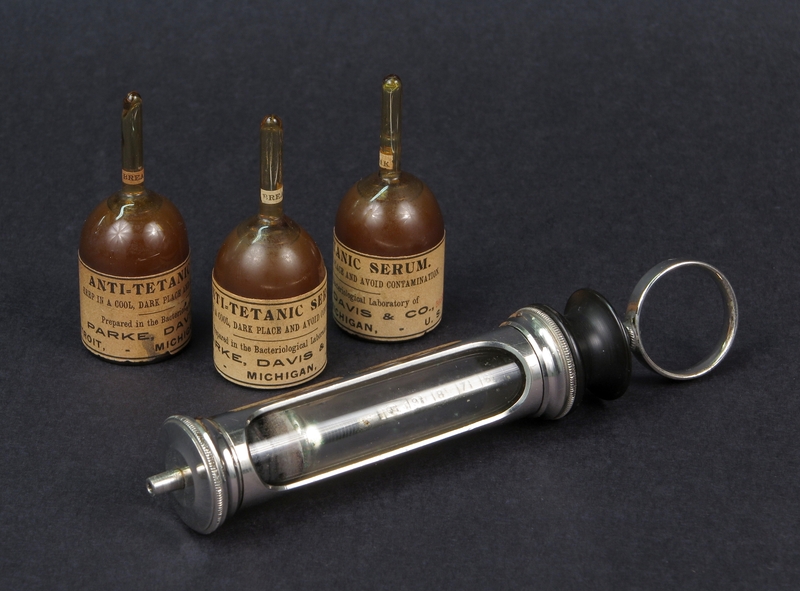 Blank cartridges caused a majority of the cases of patriotic tetanus—so many, in fact, that investigators wondered if tetanus spores were somehow deposited within the cartridges at the time of manufacture. 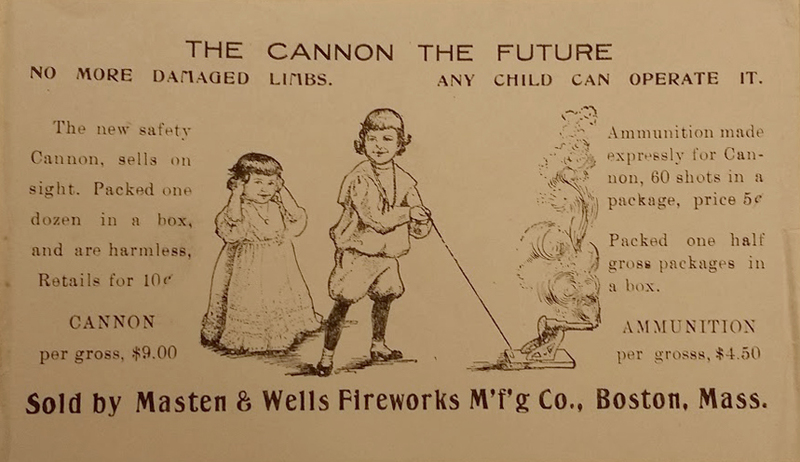 A thorough study concluded that this was not the case, and that, as with other fireworks, tetanus-laden dirt from the surrounding environment was simply thrust into the wound at the time of the injury. The July Fourth infection rate became so grave that the American Medical Association (AMA) began tracking patriotic tetanus in an annual report. In 1903, 406 fatal cases of patriotic tetanus were reported. The AMA stressed that all penetrating wounds from fireworks and blank cartridges were potential cases of tetanus. From 1903 through 1909, patriotic tetanus was responsible for almost two thirds of the 1,531 July Fourth explosives-related deaths. There was, however, hope on the horizon for those of us who love fireworks but hate tetanus. By 1900, tetanus victims could be treated with an injection of antitoxin (what we now understand as antibodies) against the tetanus toxins. As access to the antitoxin increased, the number of deaths from tetanus declined . . . just in time for World War I, where soldiers would encounter explosions of filthy shrapnel on a much larger scale. 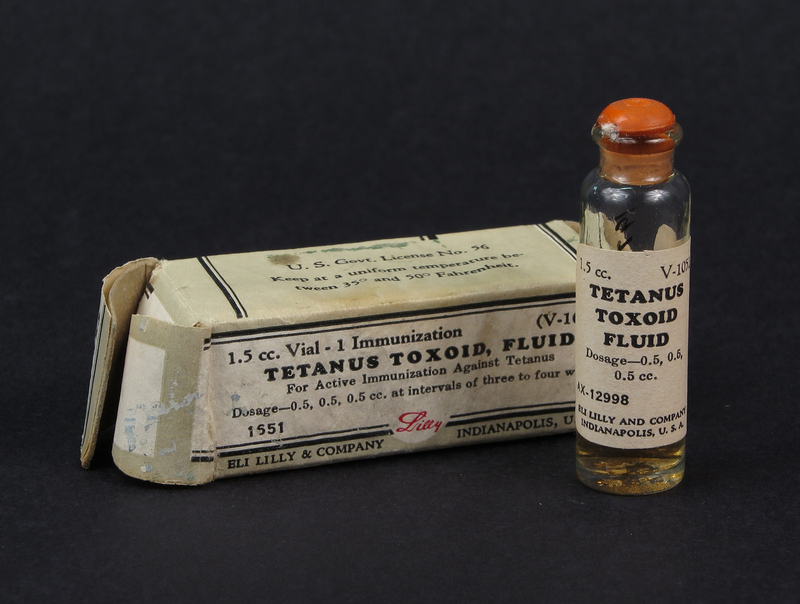 Tetanus antitoxin was heavily used during World War I, drastically reducing the disease's mortality compared to previous military engagements. By World War II, we had moved beyond treatment to a preventative vaccine, a tetanus toxoid that produced a protective immunity against future exposure. Because it was administered widely to soldiers in World War II, a disease that once ravaged armies only affected a dozen U.S. service members. 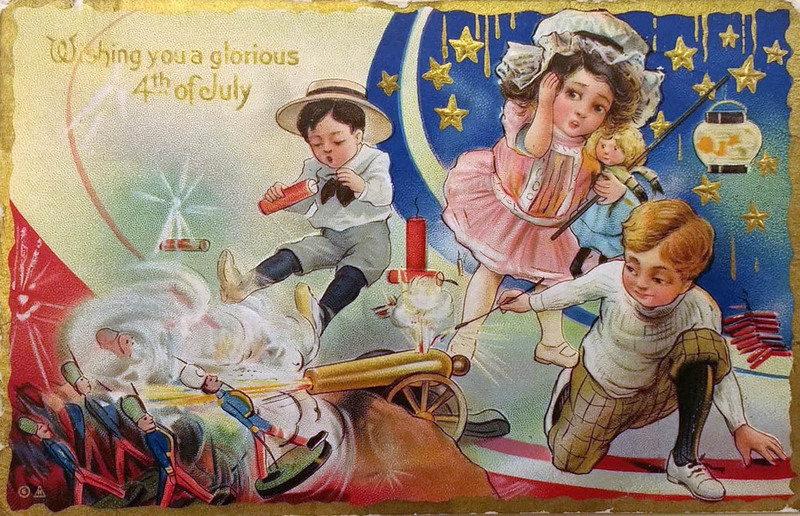 Explosions, both in war and in patriotic celebration, were now safer—at least regarding tetanus. In the U.S. today, tetanus is prevented by routine vaccination of infants, children, and adults. Additional boosters are administered after suffering a dirty, deep wound, depending on the patient's dosage history. In 2009, only 19 cases (two of which were fatal) were reported to the Centers for Disease control. Thanks to effective vaccines, your Fourth of July fun need not include patriotic lockjaw. Charles Richter is a guest blogger for the Division of Medicine and Science and a Ph.D. candidate in American religious history at The George Washington University. You asked, we answered: How did soldiers commemorate the first Fourth of July?